Our Crisis Intervention walk-in hours begin at 9 am Monday – Friday. 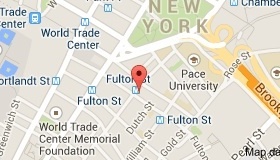 so it is advised to get here no later than 8 a.m.
Take the 2, 3, 4, 5, A, C, J, or Z trains to the Fulton St. Station. For all press inquiries, please email press@cfthomeless.org.